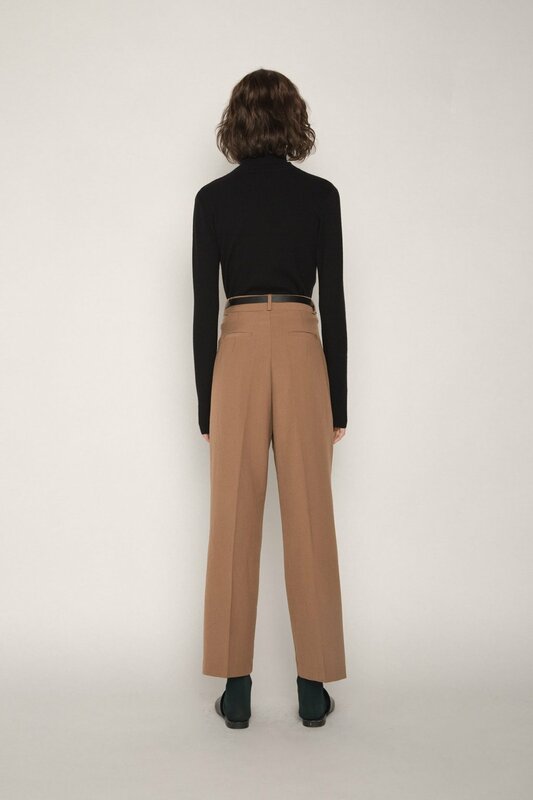 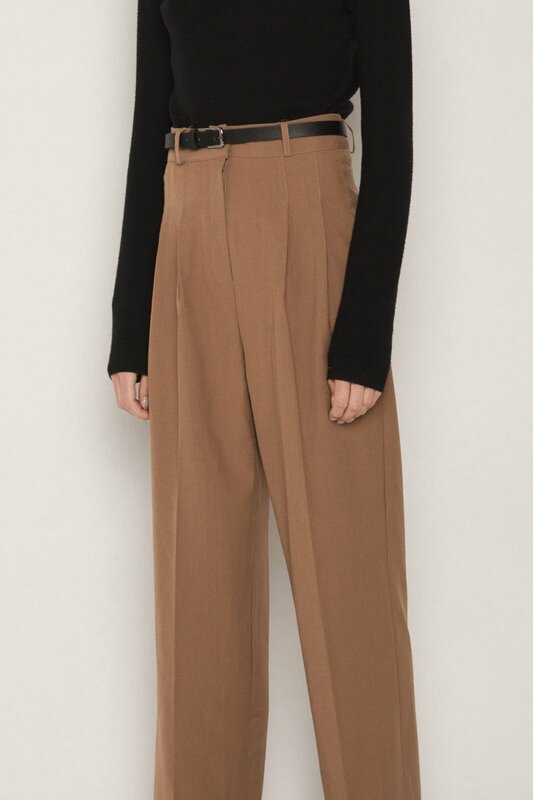 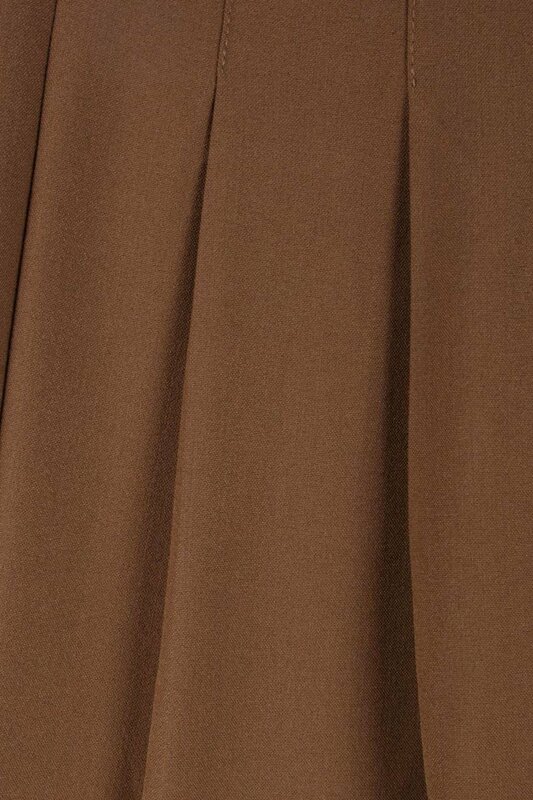 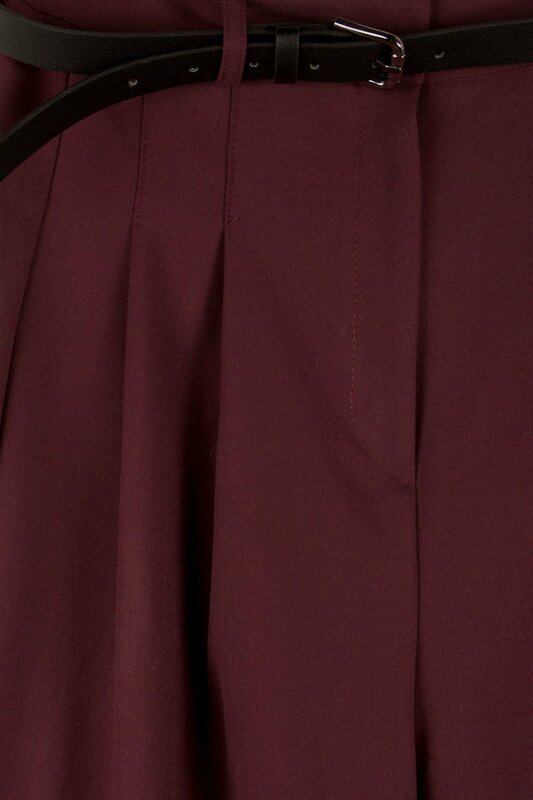 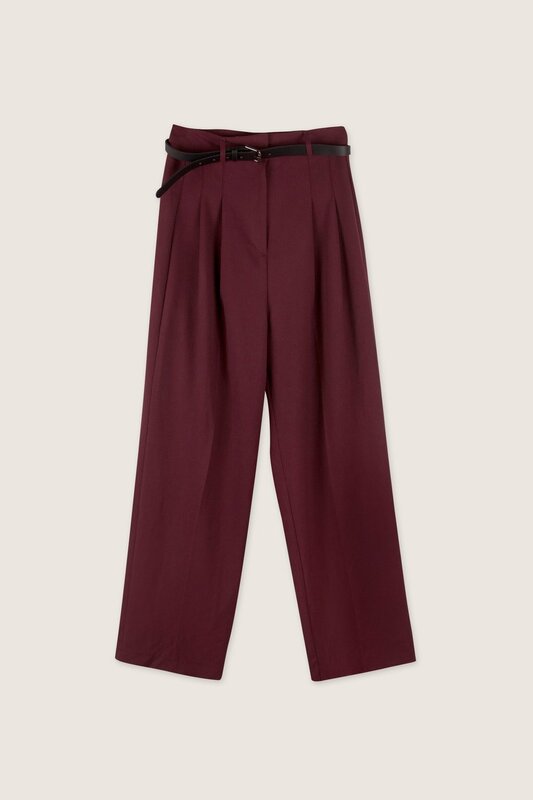 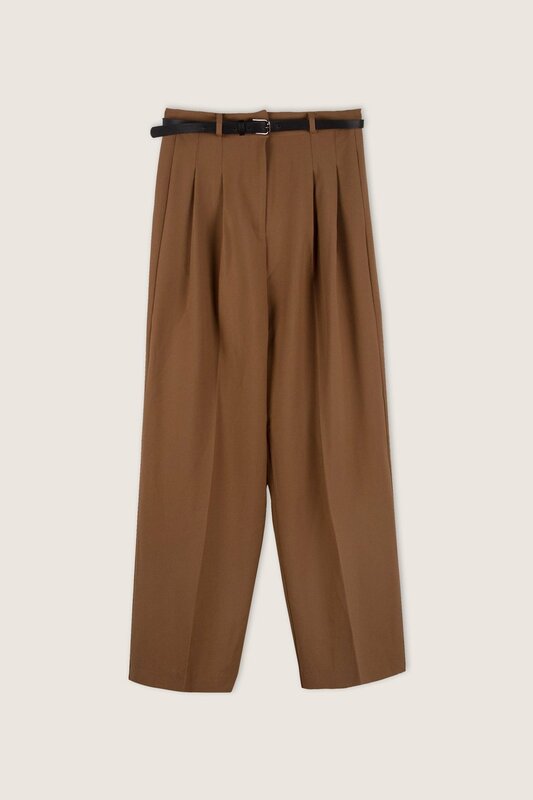 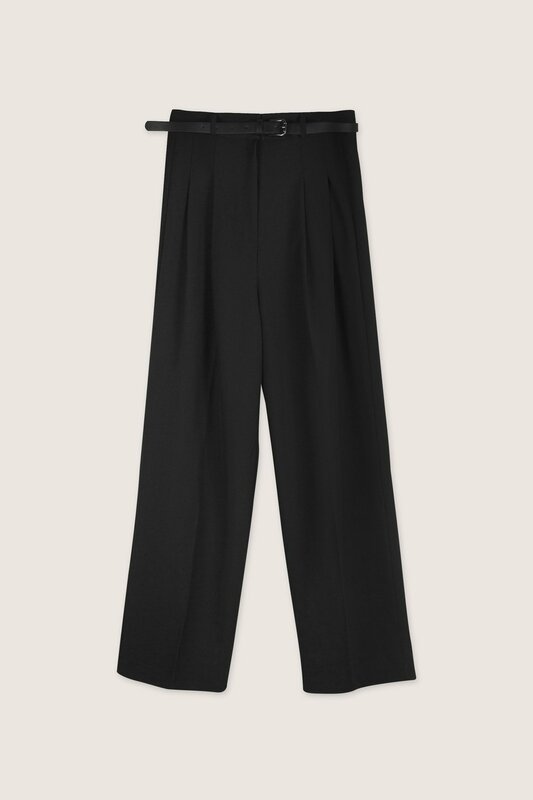 Featuring a high-waisted fit and a relaxed straight-leg silhouette with front pleats, these pants are a must-have classic for your wardrobe. 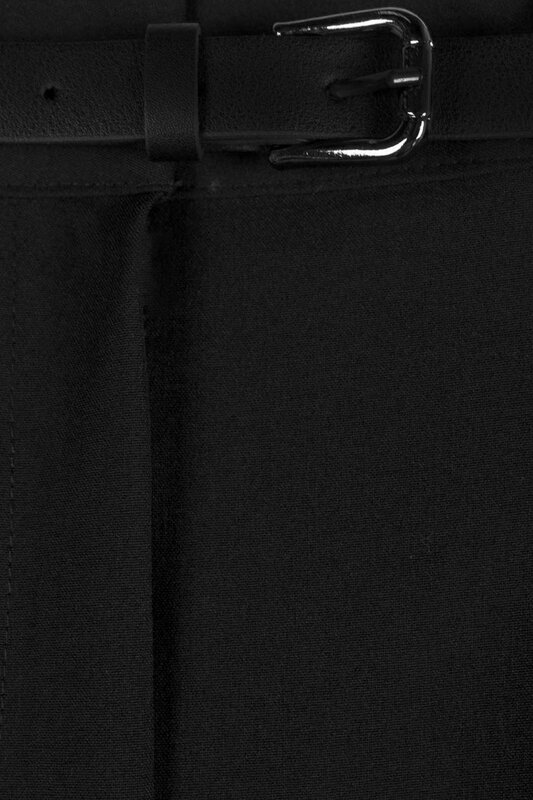 The vegan leather belt adds an extra tailored touch that contrasts fashionably with the flowy fabric. 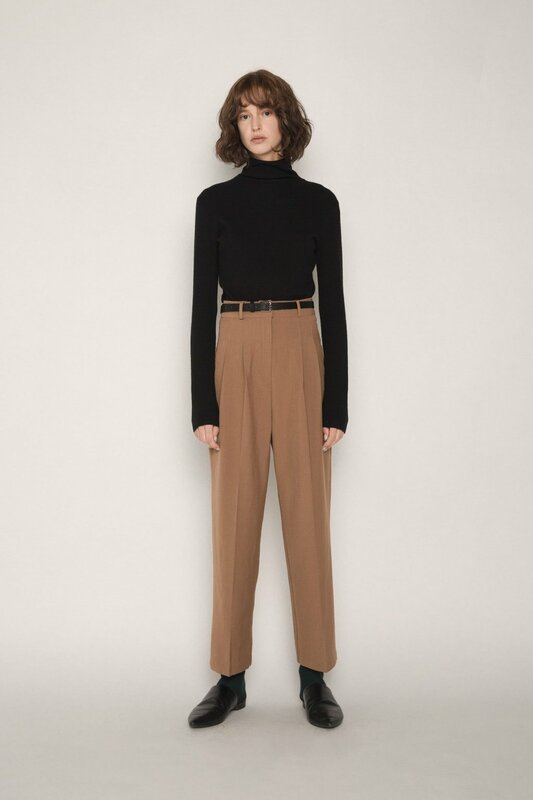 Pair with a turtleneck and sneakers for an effortlessly chic and minimal look.